I like my banana bread like I like my avocados, nice and squishy. 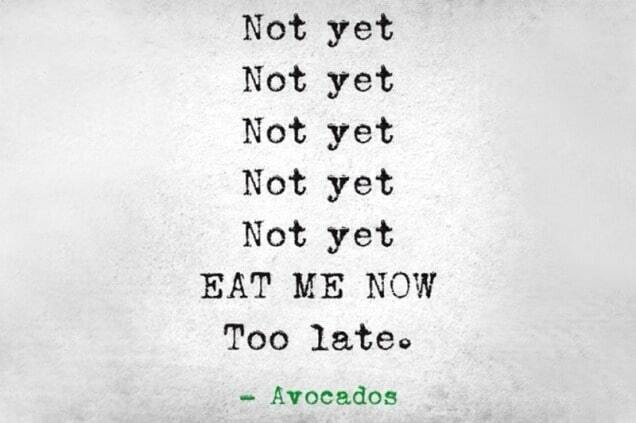 In fact, waiting for bananas to ripen just enough for banana bread is like waiting for the perfect moment where avocados hit their peak (for .8765 seconds…and then they instantly turn brown) whomp, whomp. I mean, who else feels me here. Banana bread, like so many other baked goods, normally contains bleached white flour and, well, we Paleo eaters tend to try to avoid such things. So what does one normally replace this with….ALMOND FLOUR! Wait, what?! Yeah…for those of us Paleo eaters with nut allergies here’s the problem we face 999 times when baking Paleo baked goods. But, have no fear, the Nut-free Cavewoman (I’m kinda digging the name) is here to offer up a solution. On top of regular banana bread, we have the famed banana NUT bread that comes across our plates at every office food day or baked good sale. I mean, do we really HAVE to put nuts in everything?? Okay, okay, I’ll stop hating on nuts. But seriously…do you know how many times I have to ask “does that have nuts in it?” when someone brings banana bread to share in the office. Nine times out of ten, it’s a yes. 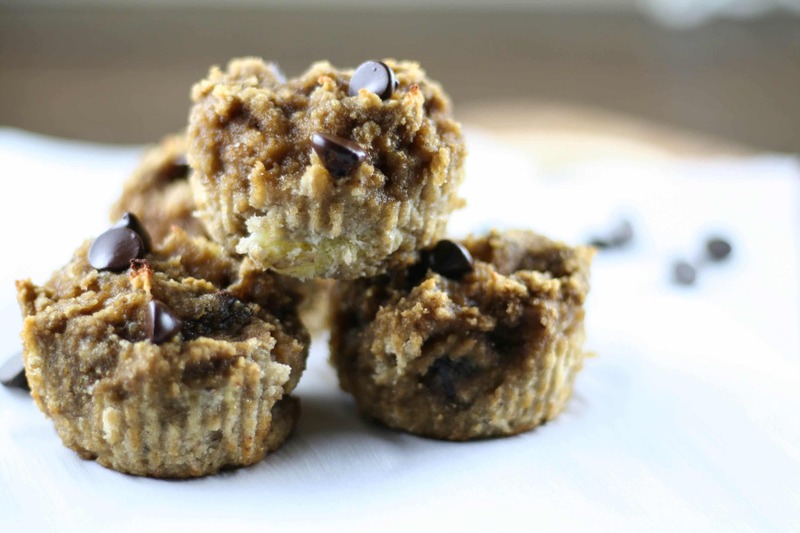 And when nuts aren’t involved, there’s always its evil twin…ALMOND BUTTER. I thought to myself, “did I just read this right? 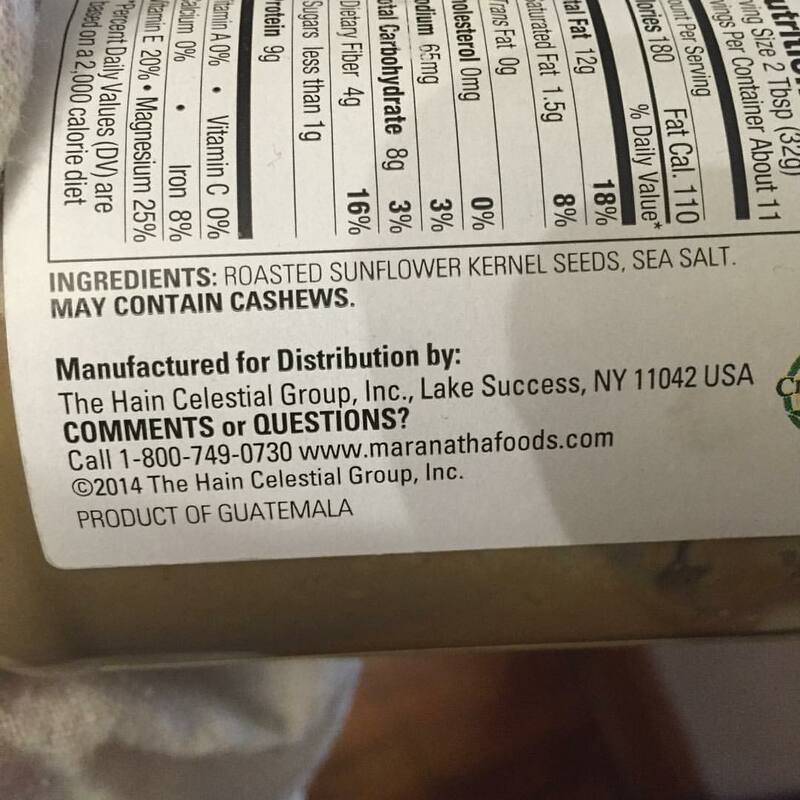 !” It didn’t say may have come in contact with cashews, or may have been packaged in a factory where cashews exist, it literally says may contain cashews. For real?! So, moral of the story, read your labels! Baking nut-free Paleo goods is like a science experiment, swapping ingredients in and out, trying to figure out what will work. Hopefully I can take some of that frustration out of the equation for you. 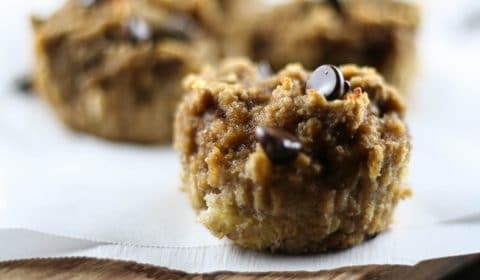 For these muffins I took out the almond flour and the almond butter and replaced them with coconut flour and sunflower butter. The sunflower butter will still give it that ‘peanut butter’ nutty flavor if that’s something you like. 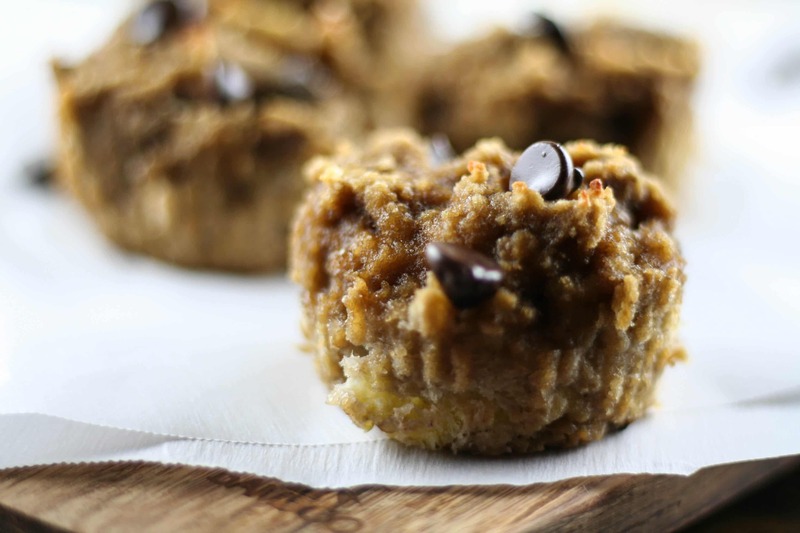 These muffins are also super easy to make, and you don’t even have to wait for the bananas to ripen! One note of caution, be sure to use cupcake liners, these are sticky little devils. Line a 12 count muffin tin with muffin liners, one batch will make exactly 12 muffins. In a large mixing bowl, add all the ingredients and mix thoroughly. Spoon batter into muffin liners until almost full. The muffins will not rise during baking so there’s no need to worry about overflow. 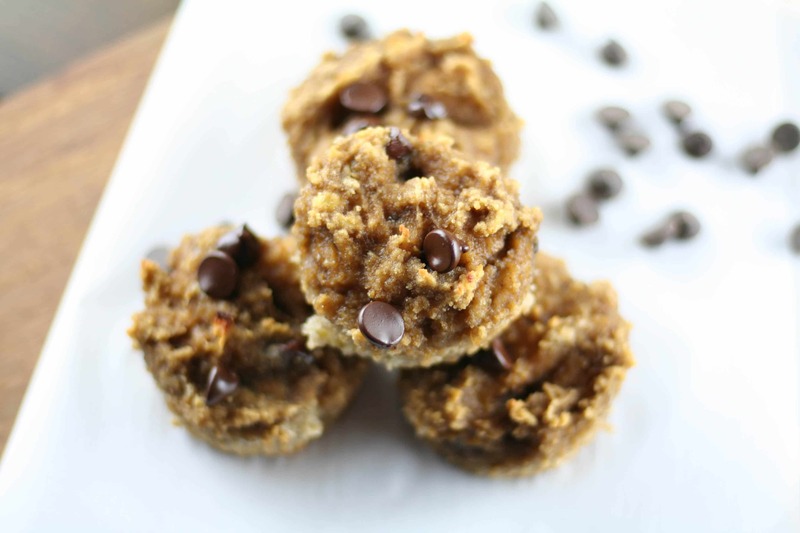 Top with extra chocolate chips and bake for 20-25 minutes. Remove from oven and let sit until completely cool.